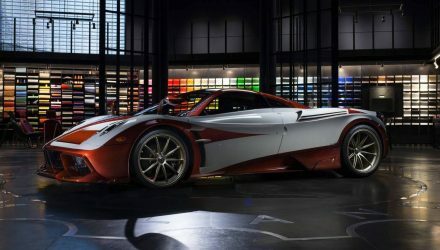 Super exotic carmaker Pagani is now available in Australia. Yep, the Italian manufacturer has landed Down Under, opening its first dealership in Melbourne this week. Luxury car importer Zagame Automotive has launched the first Pagani dealership in the country, complete with a Pagani Huayra Roadster for punters to observe. 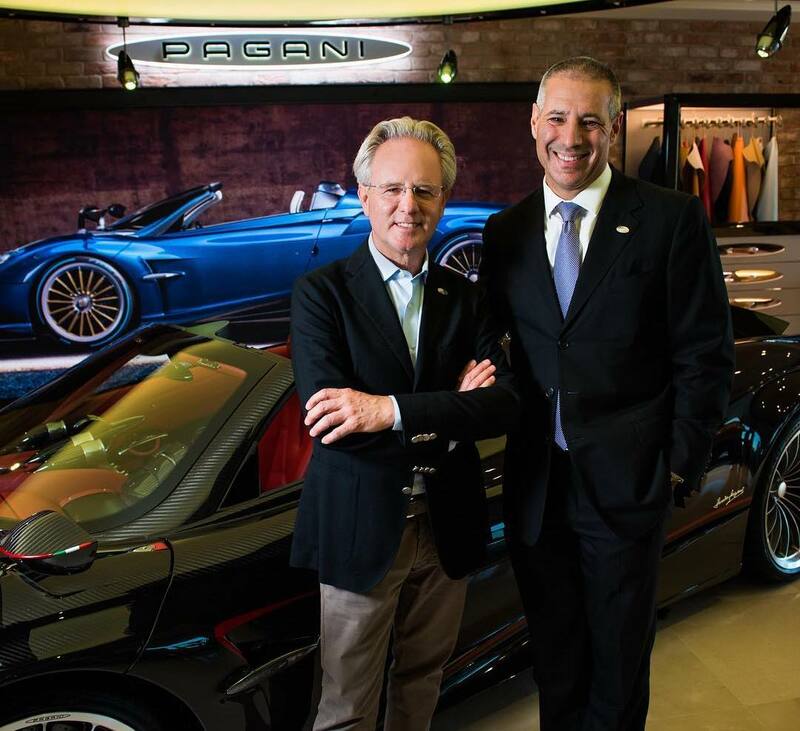 Company founder Horacio Pagani helped open the showroom. It’s understood the importer has secured a few examples of the Roadster, of which only 100 are planned for production for global markets. 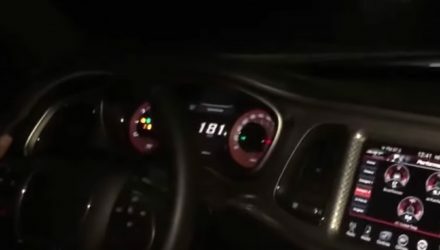 This essentially comes in as the first hypercar in Australia, with rivals such as the LaFerrari, McLaren P1, and Porsche 918 Spyder not officially sold here. 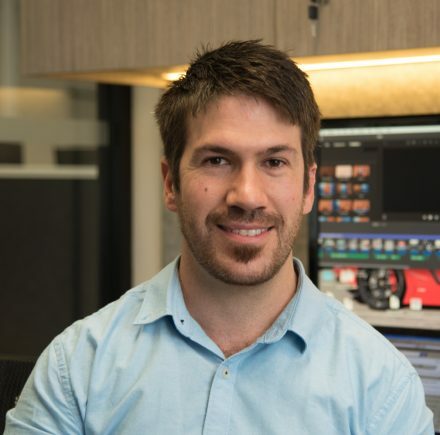 The mighty Bugatti Veyron and Chiron are also not available in Australia. 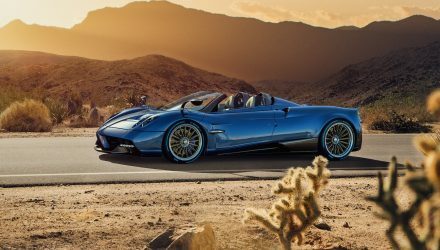 As you might remember from the 2017 Geneva motor show unveiling, the Pagani Huayra Roadster is one of the most powerful production convertibles ever made. It features a 6.0-litre twin-turbo V12 engine derived from an Mercedes-AMG unit, producing 562kW and 1000Nm. This immense power is hooked up to a seven-speed automated-manual transmission made by Xtrac, with rear-wheel drive. Thanks to a special ‘carbo-titanium’ monocoque platform, the roadster actually weighs 70kg less than the coupe, tipping the scales at just 1280kg. Pagani vehicles are usually very serious about aerodynamics, and the Huayra is one of the most advanced in that department. Even the roadster, with its active rear wing and sculpted front end, is able to produce a claimed downforce of 820kg at speed. Passengers are treated to a truly exquisite interior, with some of the finest attention to detail and premium materials you’re ever likely to see in a production car. 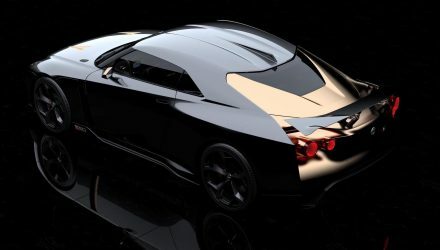 Buyers also have the option between a carbon fibre hardtop roof or a fabric setup for something a little more elegant. So, how much for all of this magnificence? 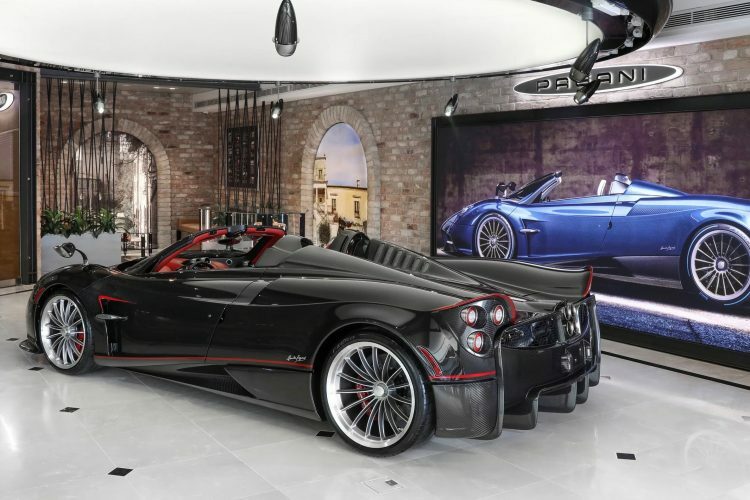 Prices for the Huayra Roadster start from an eye-watering $5.5 million. And that’s before on-road costs.